All opinions and posts are my own, unless otherwise stated. Am I considered a TEDster yet? Friday night I attended TEDxJacksonvilleWomen at UNF (SWOOP). 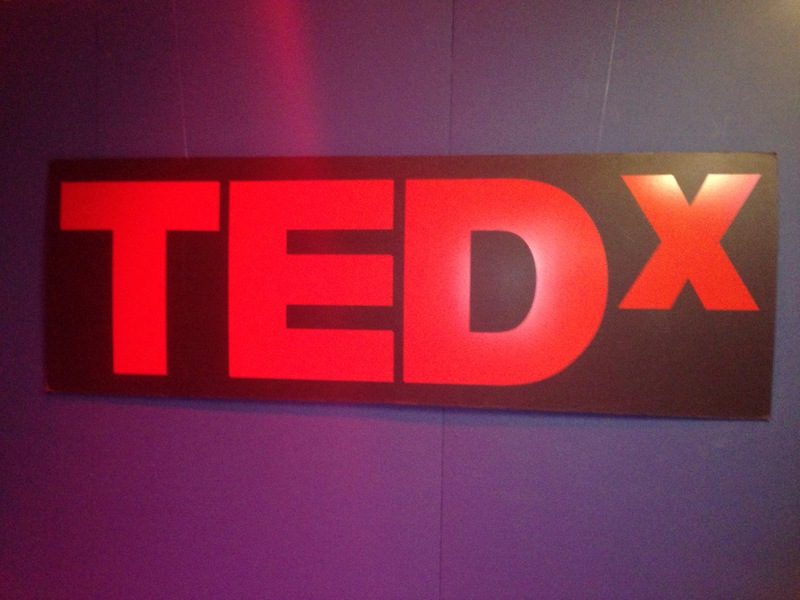 TEDxJacksonville teamed up with Taylor Leadership Institution at UNF to live-stream the TEDWomen Conference from San Francisco. 3 sessions of women who are unapologetic in our world. Unapologetic for breaking barriers, world records, and stereotypical ideas of women in general. To me, these were all ideas worth spreading. 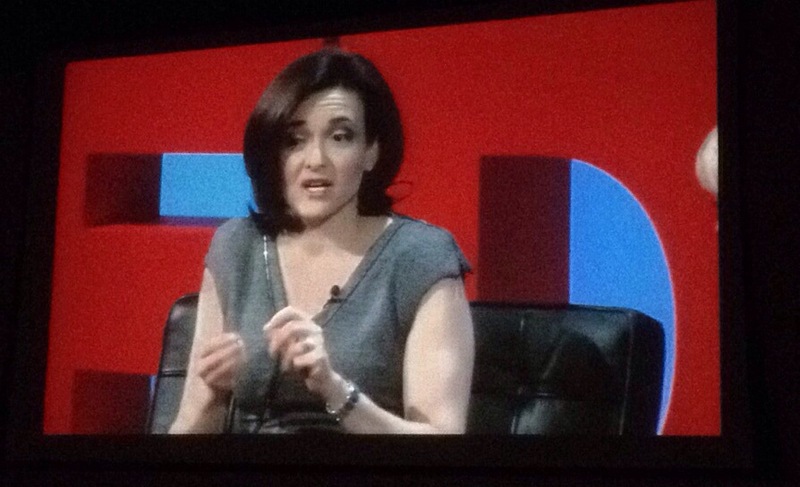 I originally attended to see COO of Facebook and Author of Lean In, Sheryl Sandberg, speak again because I loved her first TED talk so much, but was surprised when I heard from swimmer Diana Nyad (the woman who swam from Cuba to Florida), and maybe the world’s youngest entrepreneur (at least to my knowledge), Maya Penn. 13 year old Maya Penn came to the TEDWomen Stage and talked about how she started making environmental friendly clothing at the age of 10, the same age she was contacted by Forbes Magazine. 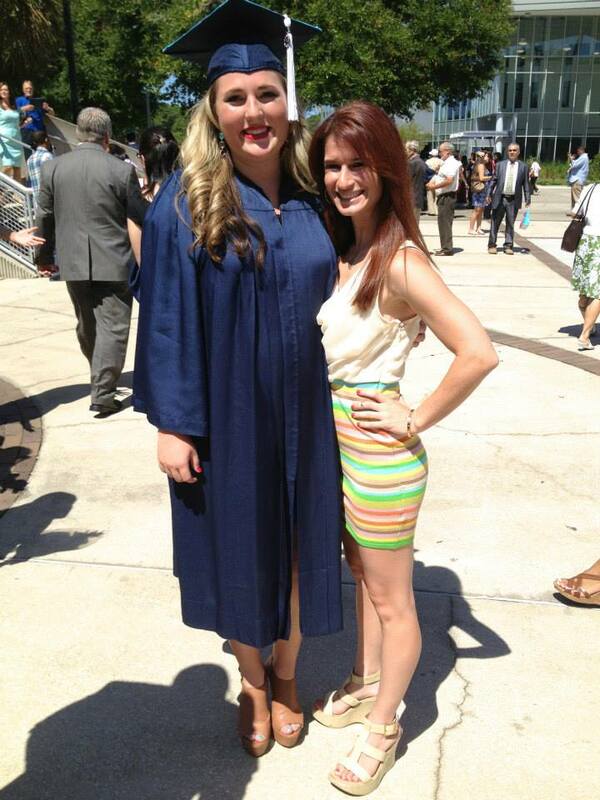 How inspiring for young women all over the world! You go Maya! If a sixty year old women can swim 110 miles in open water, what can’t we do? Yes, WE! We have the ability to metaphorically jump into any body of open water and swim! Just keep swimming, swimming, swimming, what do we do ? We swim, swim! The motto of her team was “Find a way!” and that she did. Before Friday, I had no idea that the earth’s atmosphere is only 3 hairs thick (thanks Dava Newman) or that drumming in Rwanda was forbidden for women until recently (Odile “Kiki” Gakire Katese). 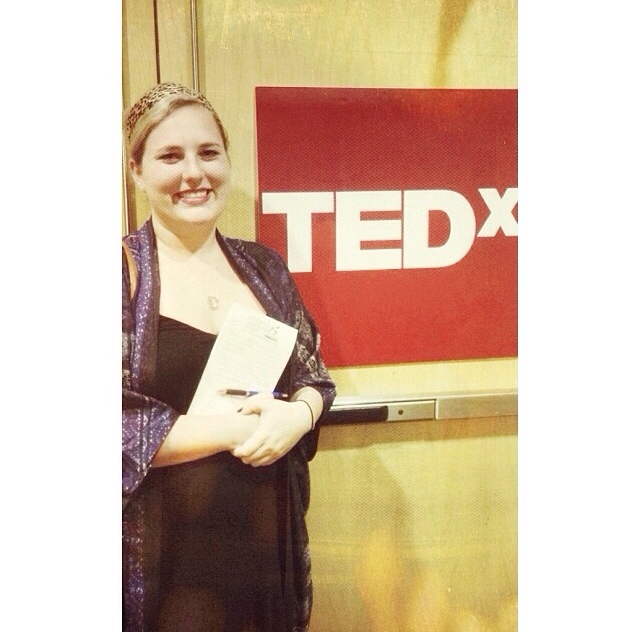 Every TEDxJacksonville event I’ve attended thus far, has been a mind blowing experience that I can’t wait to share! 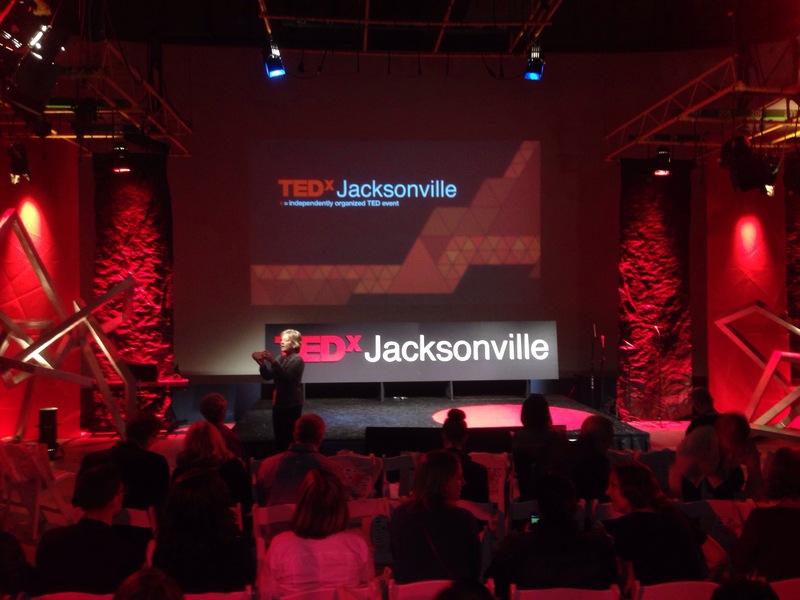 Thanks again to TEDxJacksonville for putting on another awesome event! Keep checking in to see these TEDtalks published online, and save the date: Feb. 20th TEDxJacksonville will be having another event! See you then. 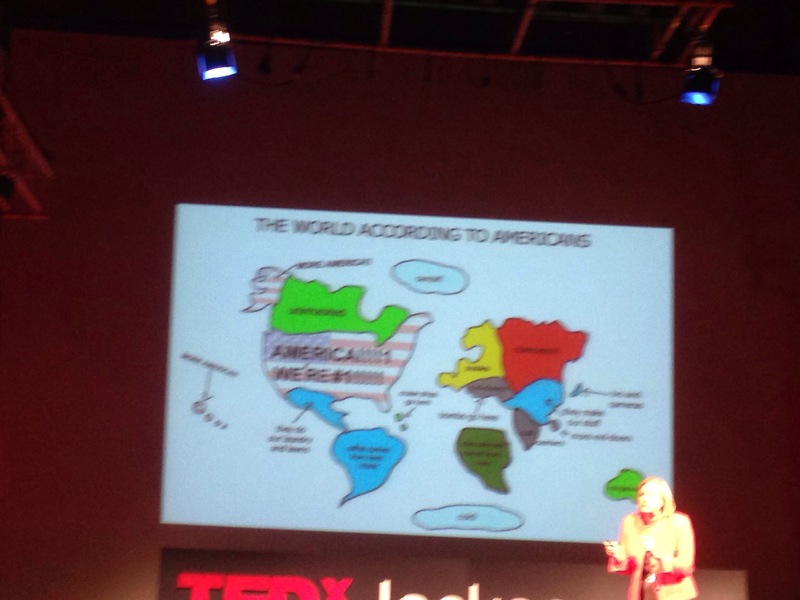 TEDxJacksonville 2013 Talks are now up! So You Want to be a Leader…? Recap of Elton’s Leadership Talk. 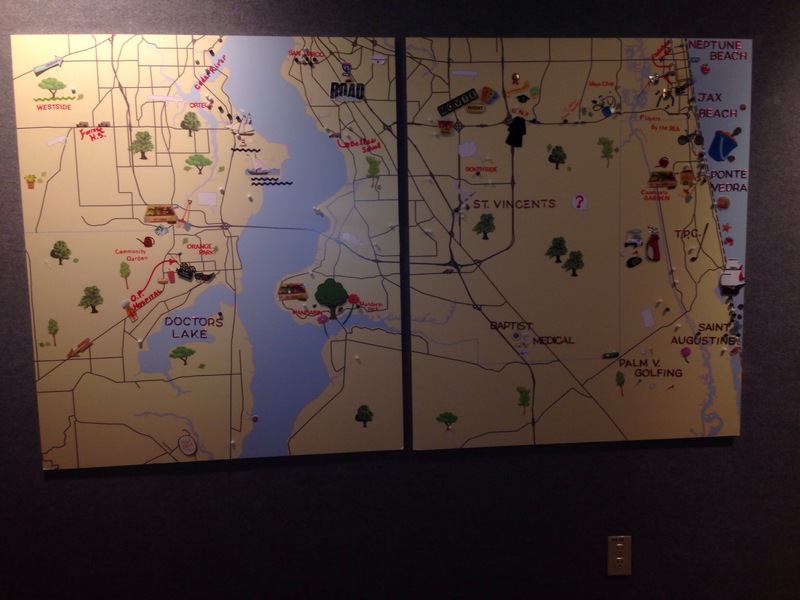 Reposted from CoWorkJax.com Jacksonville, FL (October 22, 2013) by yours truly. Recently I’ve been attending different conferences, and I would like to share my most recent experience with you all! 1. “The world needs more GREAT Leaders, not good leaders, GREAT leaders.” I make this point first because Elton opened up with it, but also because it’s very important to first realize the NEED for great leaders in our world. 2. Platforms are built for great leaders, not the other way around. Cities, industries, technology and academia today are platforms. These platforms are built so leaders can grab the opportunity, and do whatever the heck they want to do with them. Elton went on to describe how so many people get it backwards. The world, or at least the platform, is your oyster! 3. Follow your “gut.” Elton shared his stories about having a mango stand in Miami with a man named Manny (alliteration, anyone? ), opening a cat bed and breakfast, following a girl to school, and working for “corporate.” After his corporate job stuck him in a back office facing a wall, he finally realized that corporate was not for him, so he got out of there! Later, a deal went bad and his ego plummeted, so he thought about jumping into the corporate world again- but he had a bad gut feeling about it. Luckily he didn’t take the job, because 6 months later the company went crashing! 3. Make time for yourself, and don’t apologize for it. As a leader, you need time to be in your own head. Elton shared his love for triathlons, but your hobby can be anything. It can be anything that brings you to your “happy place,” a true time for you to be alone with your thoughts. 5. Solve the Need. Elton, with a few other co-founders, opened CoWork Jax. There was a need for a safe spot for people to conspire and build. That was the first piece to the puzzle. Then he and a few other co-founders struck again with One Spark, and created the world’s first crowd funded festival. There was a need for a rallying crowd, a positive ego booster, a place to make people first. 6. Understand that there are 4 different types of leaders, and identify accordingly. Chaos Charger: this person thrives in an open ended unstructured environment, creates their own mold, has the ability to get a group of people behind a cause. Boundary Definer: this person needs some kind of parameter. 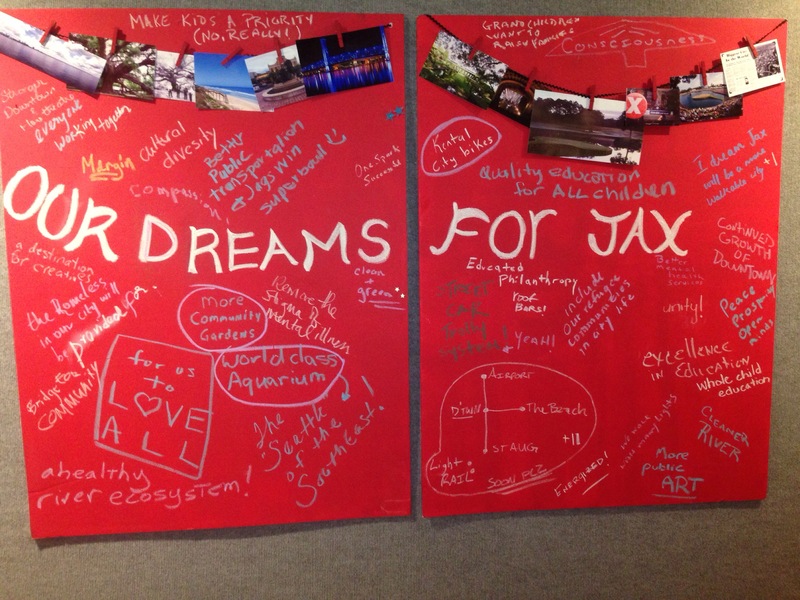 Are they leading people to change Jacksonville or the entire world? Directional Leader: after you tell this person what they need to be doing, they are going to create teams, delegate and organize a project. They have the ability to give direction. Critique: this person can be positive or negative. One critique is mad that they were not asked to be a part of your project and will criticize from a distance, and the other critique, the loving type, will tell you how your project could go better in an objective way and why. All 4 leaders are important to have, and they all work in entirely different ways. Every great leader runs into a wall of fear before making that first move. Instead of letting it cripple you and your dreams, turn fear into the flame under your behind and let it ignite you to take a step in the right direction. Love is the most important thing there is. You must love what you lead. How else will you persuade others of its importance, or motivate others to rally behind you as you pursue your dream? Lastly, have a burning passion. Elton put it this way,”If you’re really passionate, eventually something good will come out of it.” And I can’t help but think of the quote from the Apple Commercial (cheesy, I know, but I LOVE it). Leaders are innately curious beings. 8. Know your personal definition of success. Why are you doing what you’re doing? What is the purpose? What should the end result be? Then share your success with other people. STOP TALKING, and START DOING. Cheers to the crazy ones. Thank you Elton for your talk, I truly enjoyed it. For everyone else, what are your thoughts on leadership? Any advice? A Love Story Gone Bad. I fell in love with a bank teller once, or maybe that’s not the title, because he worked in an office of his own. It felt like I walked into our first date. We shook hands, made direct eye contact the whole session, but where were the flowers? What’s your name again? He asked too many questions about hobbies and dreams I had. Is this the norm of bankers? Was he really into my Audrey Hepburn graphic tee tucked into my patterned blue hi low skirt? Maybe it was the way my hair fell, that he had to know more about me. Were we flirting or were you give me your sales pitch? Did it bother you that I didn’t have a credit card and knew nothing about credit? How many questions did I ask? I wasn’t trying to be cute, those were all very genuine and thoughtful questions regarding credit. After picking out my Georgia Bull Dawg Debit Card, he asked me, “What else do you like?” I’m assuming he meant besides the Dawgs. When is there a time to brag about yourself? Maybe during TED applications, that’s when, but not here, not to this bank teller. How old are you? What once was love, now felt like hate and mockery. Well I got news for you, bow man. It’s weird you lived in Athens, and you’re a Florida Gator fan. Your bow tie was strange, but you were cute. So maybe it wasn’t love, maybe it was just too weird of a instance not to notice. Looking back, I mean, if he asked me out, I would say yes. Over the weekend, I downloaded the “TED” app, and started scrolling through new talks I wanted to spend my Sunday afternoon watching. They are so addicting. I scrolled through and saw… “How to make stress your friend,” and immediately pressed play! If you are a follower of my blog, you’ll realize a constant theme in my life is stress. This talk has totally changed my approach to handling stress, thanks to Kelly McGonigal. She goes over many statistics and studies that prove that stress doesn’t kill you, your idea of stress does. Simply thinking “I am stressed out, and stress cuts my life in half” does exactly that. Make up your mind about stress, like I’m going to make up mine. Save your life, and a friend’s, and WATCH THIS TED TALK. In Need of Light Anger Management. And I’m not referring to all the car tagging I did in high school…whoops. I’ve been struggling to write for a while now. I log onto word press (mychaeltaylor.wordpress.com) and stare at all my posts and wonder if I will ever be able to write again (dramatic? I don’t care). What’s so strange about life is that it constantly vomits all over us and never leaves us with a breath of fresh non-vomit air. Was that a disgusting visual? I don’t care. Recently I’ve had a death in the family, and I couldn’t help but feel angry, not at anyone in particular. Just angry. Similar to the anger I feel when I “can’t” write. It’s not that I can’t write… It’s that (maybe) I am terrified my “self diagnosed” ADD (which I think is actually a real issue for me) is going to kick in, and I won’t be able to finish a complete thought for the life of me… or maybe I’m not trying hard enough. Maybe it’s all a “cop out” to quote my dad on accident, again. Planning free writing to me sounds strange. I don’t like it. This isn’t a graded essay. New logo. Zero new posts. What da heck? This too makes me angry. A similar anger to the feeling I feel when I can’t make someone understand. Understand “what I mean when I said that.” Understand my humor, which sometimes makes the situation funnier… because I end up laughing at myself. (One year I received “Delta Gamma’s Best Sense of Humor” Award, and the next year I received “Delta Gamma’s Most Likely to Laugh at her Own Jokes” Award. The real question is… When did I become the only person to laugh at my own jokes? I wouldn’t even consider my self a jokester.) Understand my meshed together words that I believe to be a sentence, but come out of my mouth to sound like… chubakkah’s wife. (I was once told I speak in riddles- great). The art of understanding. Is it similar to the art of listening? Don’t you wish people would just stop cutting you off mid- sentence, and LISTEN! Why do some people have to have the answer for everything. I’m really not an angry person, I stress myself out more than I relax myself. All my anger derives from things I can’t change, and I believe I have that in common with a few humans on this planet. Death… status quo of education, understanding why… is all conversations that could maybe go on forever. So maybe I need to get a grip, keep writing, and get over my fear of the unknown. It’s simple anger, simple enough to ignore for the time being. Was anyone else spanked as a child? Welcome KYN to the heart of Downtown Jacksonville! 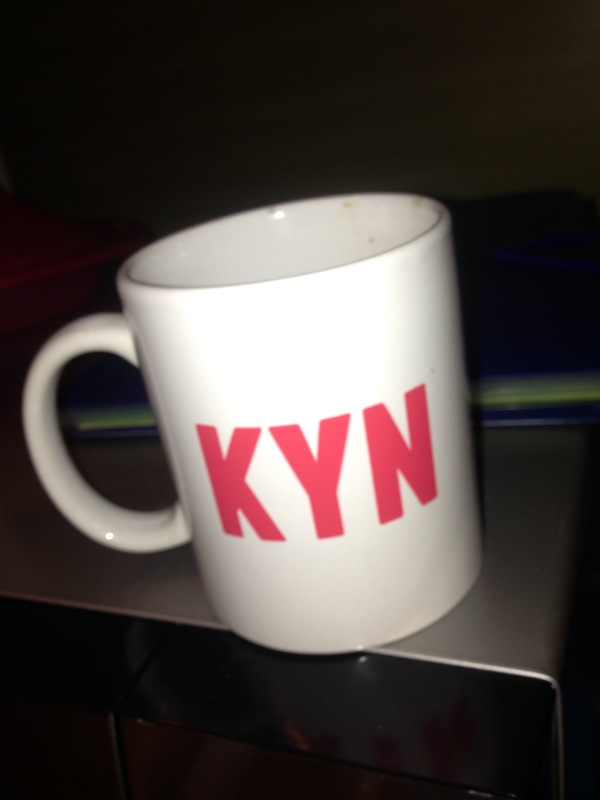 KYN is an accelerator program for start ups, following One Spark, that will last 16 weeks. Stache Investments Corp. announced today (August 21, 2013) that, in addition to investing in One Spark companies, it will launch a business accelerator to help them succeed. Also- KYN is including UNF (SWOOP) students to help with technical support throughout the mentor program. WOOHOO! 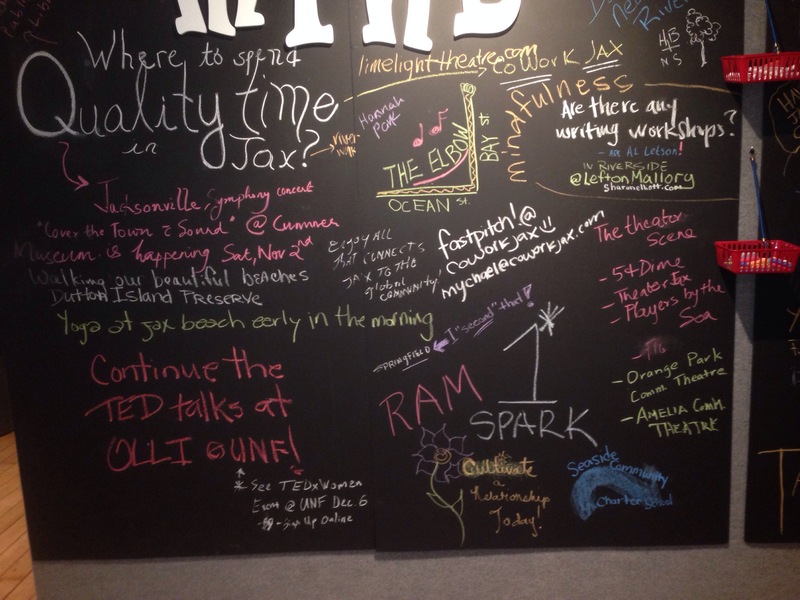 Downtown Jacksonville, One Spark and UNF? I AM ALL IN. You can read the entire article here.